From new build projects to extensions, boundary disputes to land purchases a topographical land survey is the base for all large and small scale residential projects. Data is supplied in either 3D Digital Terrain Models and/or 2D plans using in most formats to suit our clients requirements using LSS DTM land surveying software and AutoCAD. 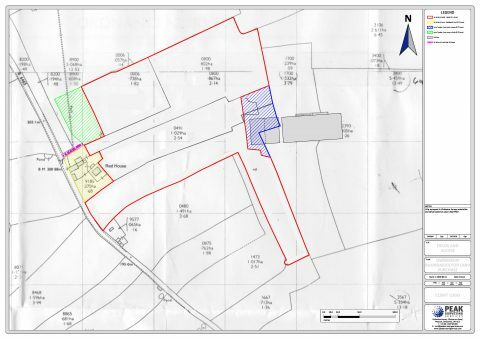 Checking land ownership boundaries and calculating surface areas for land purchase. 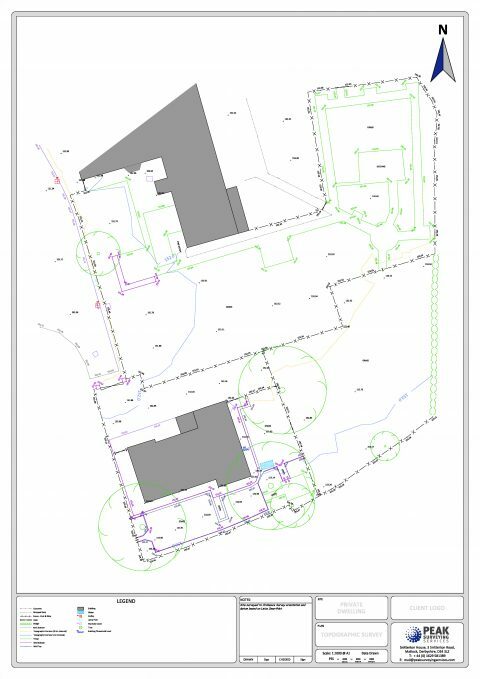 Site topographic survey of an existing property including eave and ridge height and also eave and ridge heights of adjacent properties prior to demolition of property and redevelopment. 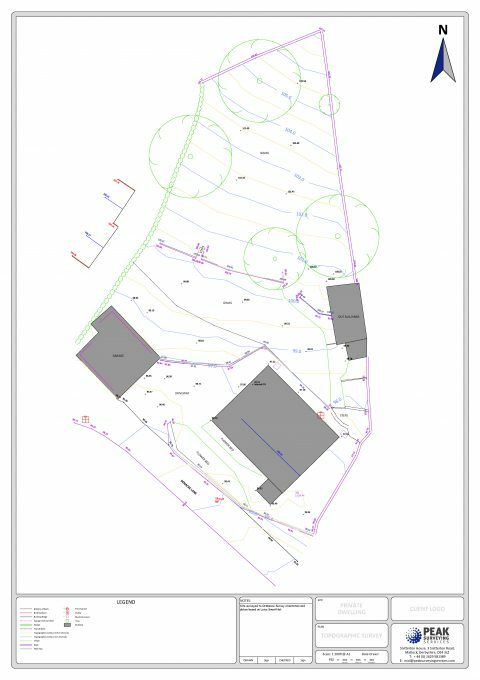 Site topographic survey to include two existing dwellings and adjacent gardens for a proposed new build dwelling.